Our planet is our home and it is our duty to protect it at all costs. But nowadays the growing demands of people in all directions are ‘cutting on’ the Earth’s life. We must take up actions, which will reduce the amount of the damage. Recycling, planting trees and crops, decreasing paper usage are just a few of the things we must do. And if you want your children to live cleaner and better, you should raise them in an earth-friendly manner. They have to be aware of the fact that the planet is not an unlimited resource and that everyone should start ‘eco’ actions in order to make things right. One way to make your children love and protect the planet is start the earth-friendly ‘education’ at an early age. Kids can easily be taught how to recycle and separate paper from glass or plastic, for example. This can be done if you present the recycling as a colour game – the paper container is blue, the plastic one is yellow and the glass one is green. They will take up this recycling habit and will begin thinking ‘green’. 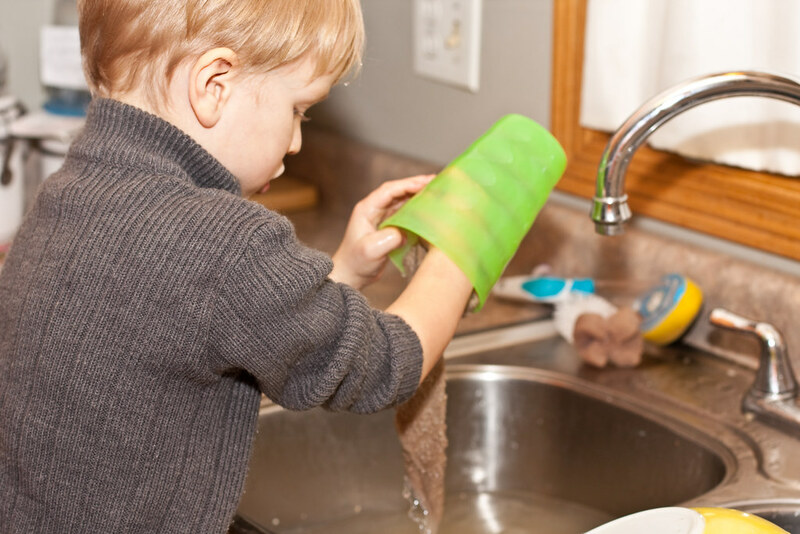 Another thing you can do is involve your children in the household chores and thus show them that cleaning their room is similar to keeping clean outdoors; they will realize at some moment that polluting indoors and outdoors is a bad thing. So, if you manage to make them help you with the cleaning, you can also implement at home the idea of green or eco cleaning products. In spite of buying expensive, highly chemical ones from the store which will definitely pollute, make your own products at home. You can do this by using two things that are available at every household – baking soda and vinegar. They are suitable for various purposes – from the cleaning of the oven, refrigerator and bathroom to removing stains from carpets. And by doing that you will even save a lot of money. Try restrain from cleaning with paper towels, since paper is made out of trees. Instead, use microfiber cloths when possible. Something which is essential if you want your children to be earth-friendly is your attitude towards it. You have to show interest in eco actions and measures– for instance recycling and trying to decrease the amount of the consumed electricity daily. By doing that, you will be their role model and your children will easier adjust to that attitude. Set a certain day from the week and make it the so called green day. In this day, try to be as eco friendly as possible. An example of that is turning off the lights in the evening for an hour or so. What is important is that you should do this on regular basis so that your children learn the importance of this lifestyle. We are not talking about switching off the Internet router or turning off the TV; just do simple, small but persistent steps towards the goal of earth-friendly behaviour. And remember to be patient with them because they will not begin recycling for example from day one. A major part of the eco ‘upbringing’ is to make your children love nature as a whole. Let them explore mountains, forests, lakes, beaches, canyons, etc by taking them to nature-orientated trips. They will quickly become fascinated and will ‘become fans’ of nature at an early age. When going to the beach with your children, you can spend an hour from your time to clean any leftover garbage from the sand at the beach. Similar actions will surely encourage them to be earth-friendly, respect nature and the Earth as a whole and will make them better people in general. Article contribution by Zowie Ashton.